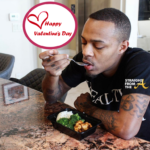 In a statement to PEOPLE on Saturday (Feb. 2), Bow Wow’s attorney, Joe Habachy claims his client was the real victim and was “wrongfully arrested” by police. Shad “Bow Wow” Moss was wrongfully arrested earlier this morning for the first time after being beaten by an out of control intoxicated female, Ms. Leslie Holden, in an Atlanta condominium. Habachy says two witnesses have corroborated Bow Wow’s version of the story, which states that Holden was the primary aggressor. 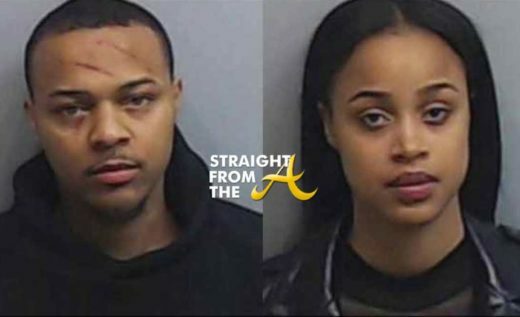 Ms. Holden beat him with a lamp, bit him on his side, and spit on him while Bow Wow continually made efforts to avoid her… Bow Wow suffered multiple injuries, some of which are visible in his mugshot. Ms. Holden’s mugshot, on the other hand, speaks for itself, despite her allegation to police that she broke a fingernail. Bow Wow feels very strongly that a man should never lay a hand on a woman, even in self-defense, hence his failure to defend himself here. We are confident that the charges against Bow Wow will be dismissed and look forward to assisting the Fulton County Solicitor General’s Office in prosecuting Ms. Holden. 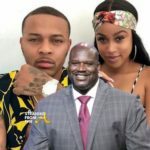 As previously reported, both Bow Wow and Holden were arrested in connection to a physical altercation that ensued in Atlanta. 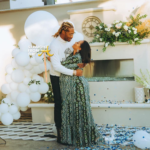 Online jail records indicate that Bow was charged with battery substantial physical harm, while Holden was charged with battery. 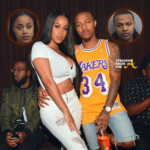 They both have since been released (each had an $8,000 bond) and Bow Wow was spotted out and about partying with Jermaine Dupri and Diddy during the Super Bowl festivities in Atlanta. What are your thoughts about Bow Wow & Kiyomi’s domestic violence incident?